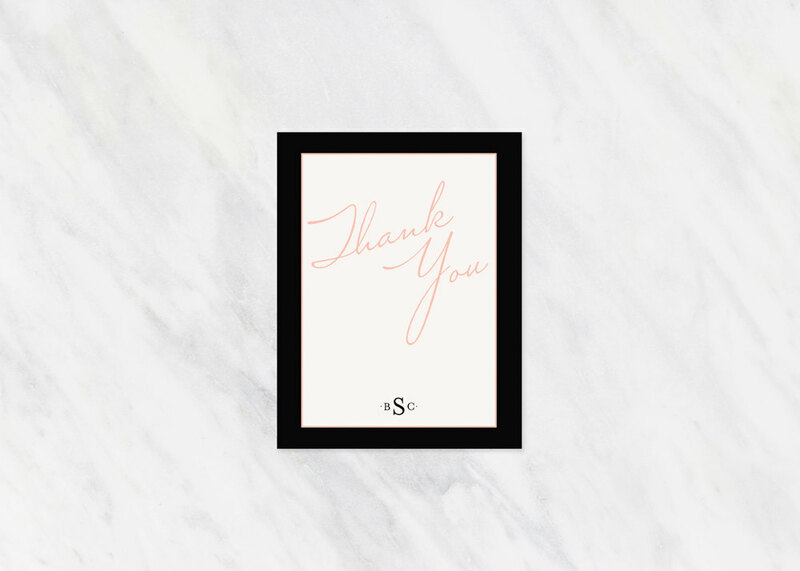 Beautiful on their own, or purchased in combination with the coordinating wedding collection, these thank you cards are customizable with your names or monogram. Please enter your desired text in the notes at checkout, or email erin [!at] freshcutprints.com. Within 1-2 business days, you will receive a digital proof. Once you’ve approved your proof, you can expect to receive your printed cards in 2 weeks. Choose your quantity of cards from the "set size" drop down. Cards are folded A2 (4.25×5.5") cards. They will arrive with white envelopes. The inside is white and blank. 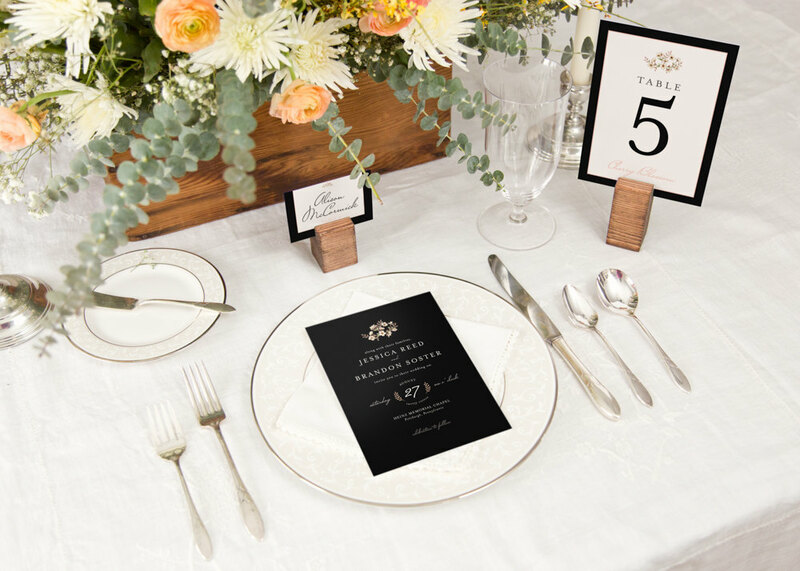 Your cards will be printed on high quality paper with no sheen. For custom orders, please contact me via http://freshcutprints.com/contactme.